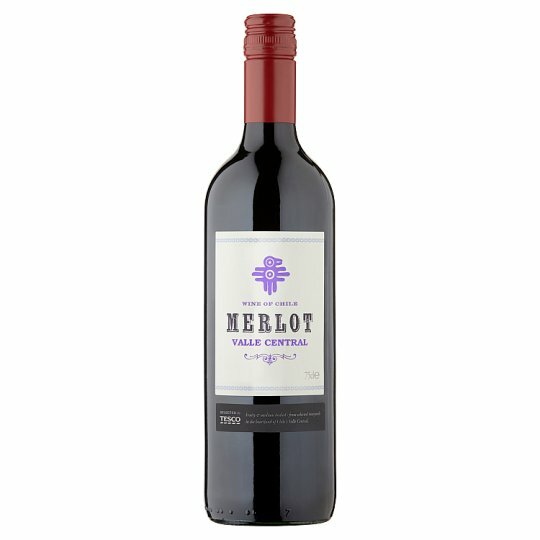 Merlot. Valle Central. Wine of Chile. Soft and smooth with aromas of plum, complemented with red cherry and raspberry flavours. The grapes are picked at optimum ripeness and undergo Malolactic fermentation in stainless steel vats. Chile has a long viticultural history for the New World, with winemaking dating back to the 16th century. French varietals were introduced in the mid-19th century and in the early 1980s, stainless steel vats became popular to preserve the freshness of the wines. Exports grew very quickly as quality wine production increased, Chile becoming the fifth largest exporter of wines in the world. Central Valley is Chile's most productive and internationally known wine region. It is located directly across the Andes from Argentina and contains four wine growing sub-regions: the Maipo Valley, the Rapel Valley, the Curicó Valley and the Maule Valley. The region is large and diverse in terms of climate, and as such produces various styles of wine. Store in a cool dark place. To enjoy at its best drink within a year of purchase. Once open drink within two days.